Luckily I found a brand new kit for $20, which I snapped up immediately. I resolved to bring the kit up to date, but without any after market items. The first step in the build was to sand off all raised detail & rescribe. This proceeded well enough although I used a fair bit of Tippex along the way to correct a good many mistakes. Thinning down all the wing spoilers. Correcting the fit of the engine bay hatch. Enhancing the ejection seat with belts & other bits. inside the sidewalls & rudder pedals (which can’t be seen anyway). 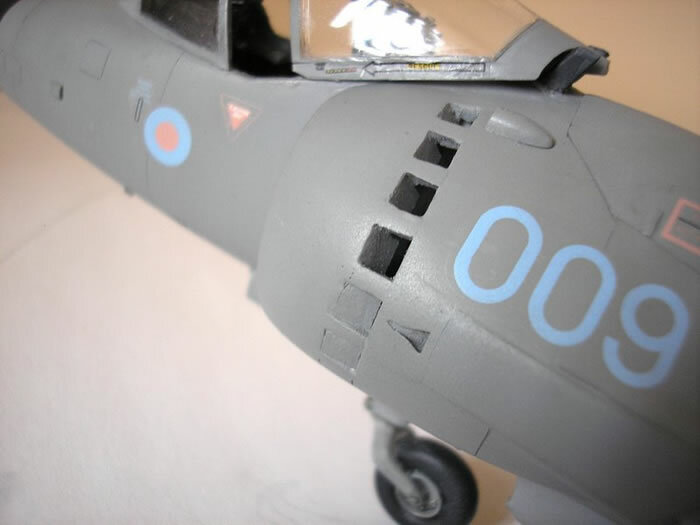 Removing incorrect air scoops from fuselage access panels & relocating correctly. 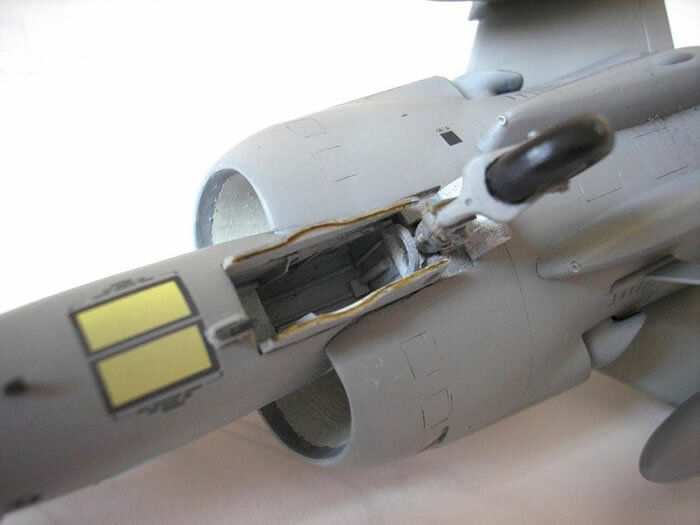 Opening up auxiliary air intakes. 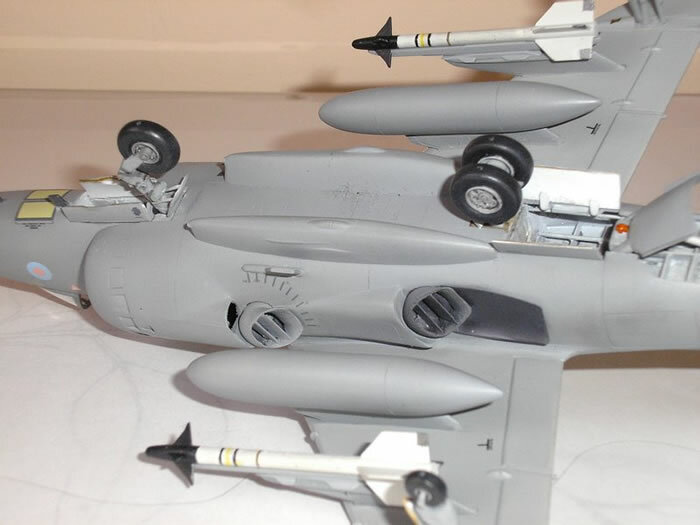 Repositioning the front undercarriage knuckle to portray weight. 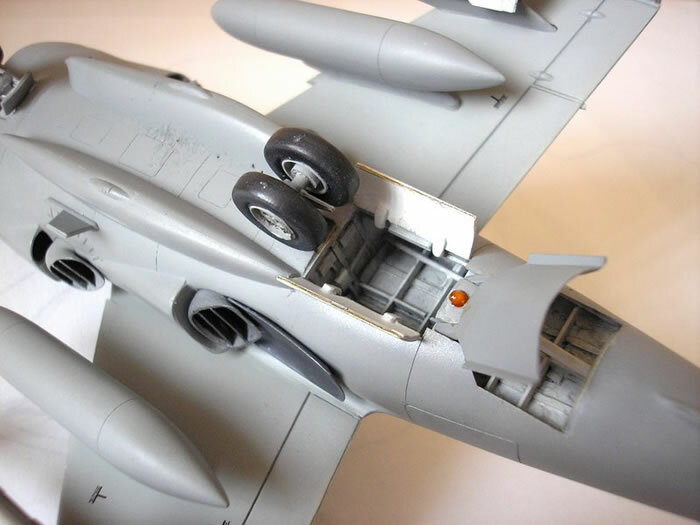 Constructing front & rear undercarriage bays as well as the air brake interior. Removing the upper collision light & relocating a better shaped clear item. the over thick kit louvres. Drilling out the camera lens & replacing with clear sprue, suitably shaped. Paint is from Gunze & Lifecolor. 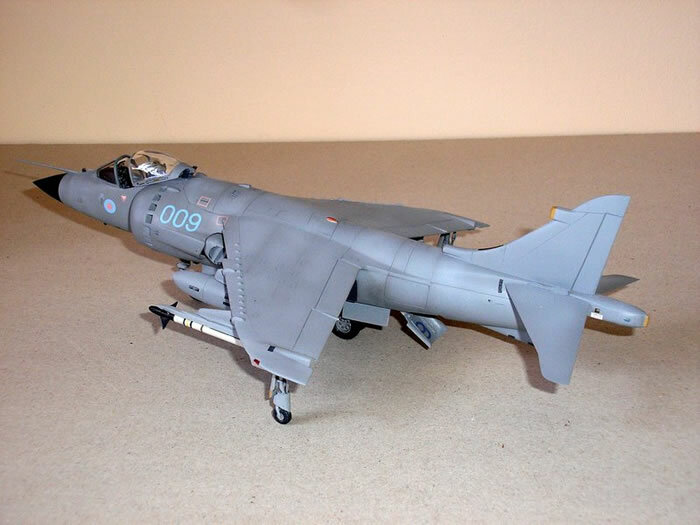 The decals used are from Xtradecal . 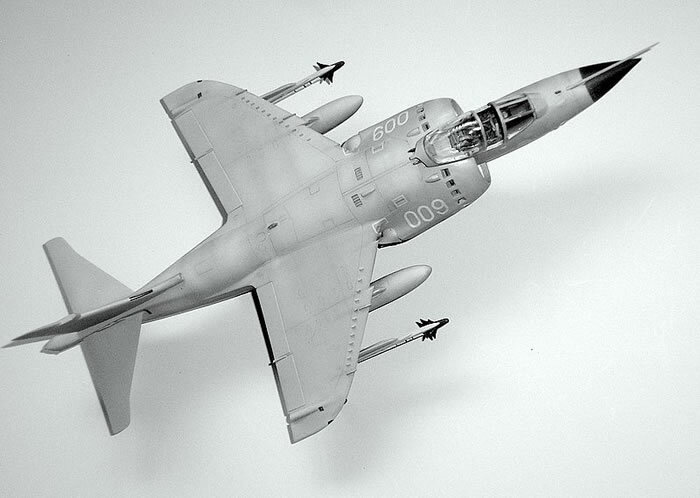 “Sea Harrier” by Roger Chesneau, from Aeroguide. 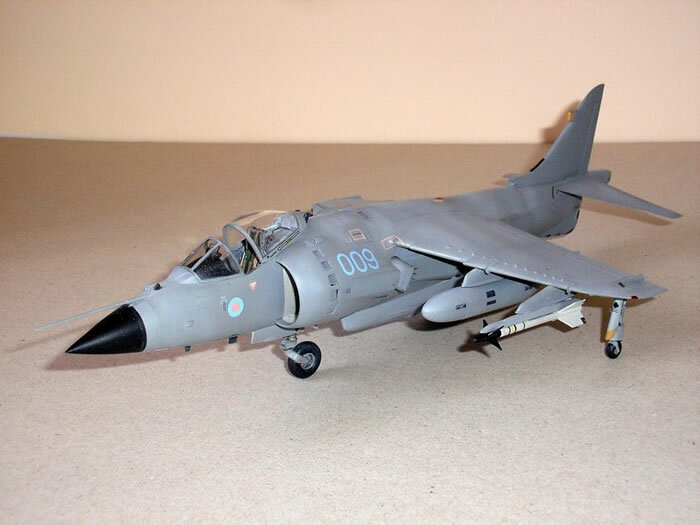 “Sea Harrier, The Last All-British Fighter”, by Jamie Hunter. 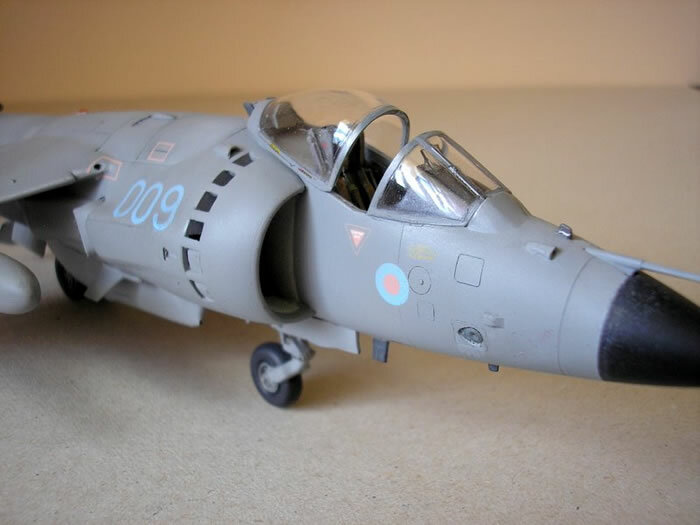 “BAe Sea Harrier” by Kev Darling, No.75 in the Warpaint Series. And, of course, many internet sites.